YouTube is a great social media platform with a lot of great videos. However, because anyone can upload videos (and comment on them), you may come across something hateful or abusive. 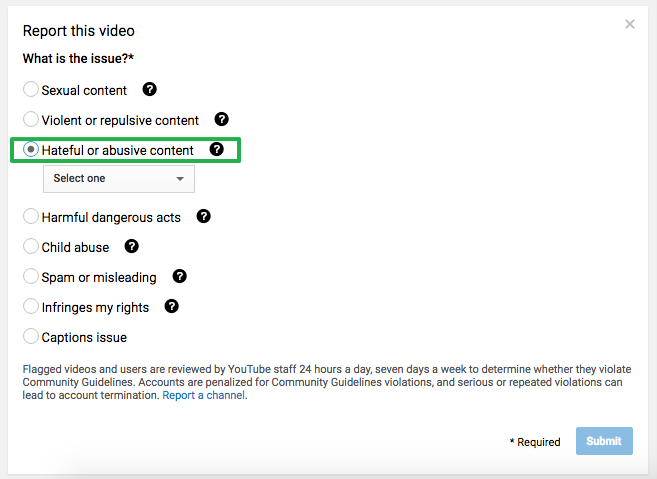 Thankfully, you can report videos and abusive comments to let YouTube know that something’s wrong. 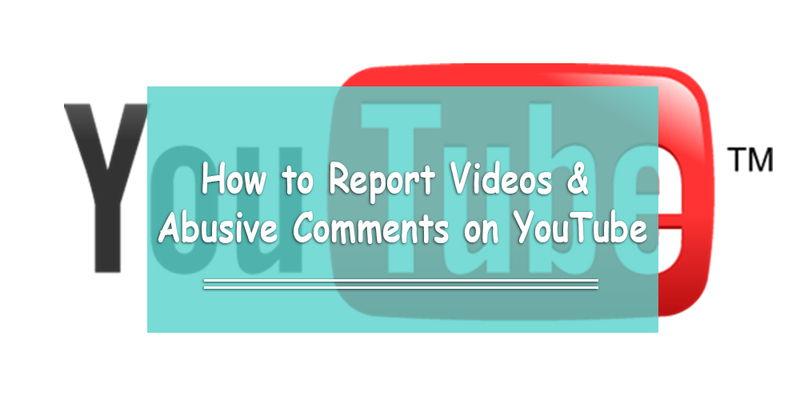 Let’s go over how you can report videos and how to report comments on YouTube… step by step. 1. Click the “⚫⚫⚫ More” option next to the Share button underneath the name of the video’s creator. 2. Select ‘Report’ from the drop-down menu. 3. Choose one of the following options below. 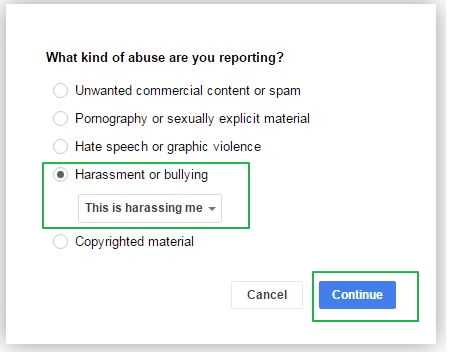 (Select the ‘Hateful or abusive content’ option if it’s a video made by a cyberbully. 4. Select ‘Bullying’ from the drop-down menu. 5. Provide additional details about the video you report. As seen below, YouTube allows you to add comments about a specific part of the video. This allows you to add context that people might not understand. 6. Click ‘Submit.’ You will get a confirmation. 1. Click the three vertical dots by the comment you want to report. If reporting a video or a comment doesn’t help stop the bullying, there is a protection center you can call who can help walk you through what to do, as well. Find your Middle Eastern country in this list. Hi! I just want to find out about my videos that are being used by other people whom I don’t know and didn’t give them permission either. So what must I do because they are gaining more viewers and subscriptions with my videos. I want to report an offensive comment made in response to a YouTube video that I posted. However, because I hid the comment I now don’t seem to have the option to report it. Slanderous comments are hard to remove on YouTube. The person that does the slandering should have their YouTube account terminated. 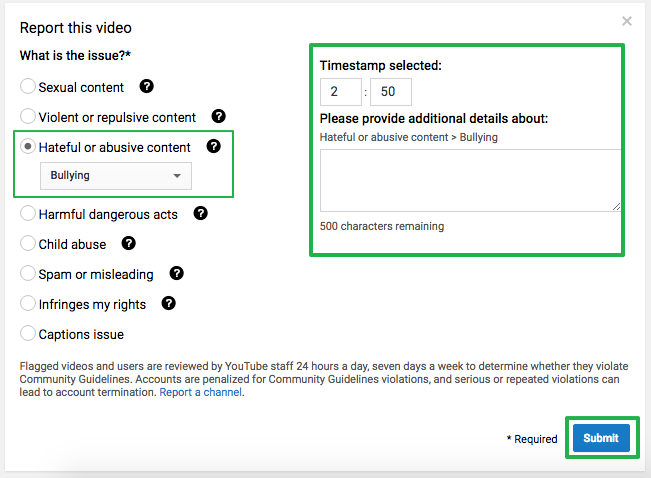 YouTube should make it so that there is immediate action taken when a complaint or a report is made by someone. Abusive comments, like racism, misogyny and death threats are also never dealt with. YouTube needs to be more diligent and deal with these issues. No more excuses. It is not free speech either. It crosses ethical, moral and legal boundaries. Again, those doing these things must have their YouTube accounts suspended for good. So much unchecked hate speech on YouTube. It’s disgusting.